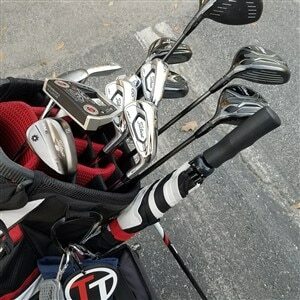 Dear Team Titleist, had a fitting in Orlando over the summer/fall. I can’t find my results here on the “TT” thread. How can I get it? Hi Phil, If the fitting was done by a Titleist product specialist, the fitting should be in your Team Titleist page under "My Fittings". If you do not see it, contact the Product Specialist through the confirmation email that was sent to you before your fitting. Hey team, I’m currently playing the TS2 with a the Tensei blue shaft. My question is about the weight in the back and what changing it would do? I was fitted for this driver by in my opinion a very inexperienced fitter. I came in playing the 915 with a Diamana blue board 70g stiff, and he put me in the Kuro Kage shaft. I immediately saw a drop in yardage and after going back and seeing a different fitter, he cut off 1/2” and charged me for a new grip. I bought the tensei from eBay and it already feels better after only swinging it a few times. So with that said I’m wondering what changing the weights would do for distance, spin, and trajectory. I did ask the fitter and he said based on my swing speed it wouldn’t matter. And my faith in this fitter is nonexistent. Thanks!! I have to agree with your assessment of the fitter with the information you have provided. Swing speed is not the sole determinant of either loft or shaft. Only a starting point. In my case, in the mid-80's, we went with a higher loft and the Tensai 50 R flex to adjust the flight. The starting point was the KK in A flex. The weight was left at stock, although moreweight was added to the TS2 fairway to help aid launch. 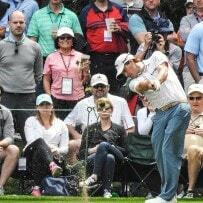 Granted, this was at TPI with a Trackman and every shaft option in the matrix. I had been burnt at a big box retailer with inexperienced (incompetent?) fitters that encouraged me to buy an off the rack 9.5 915 with a blueboard stiff (the 10.5 came with the redboard) instead of optimizing the shaft for my 10.5 913. My transition is too quick for an A flex so they were headed in the right direction, but I lost distance with the 915. Even worse - I traded the 913 and would have had to pay double to get it back. Did much better with the red board in stiff on the 917, and with the TS2, if it came down to my wife or the TS2, I'd have to think about it. But I'll never not use my favorite fitter (Premier fitting site) again other than at TPI/Manchester.